The RSF showed the most Deadliest Place for Journalist is Afghanistan as 15 journalists were killed in 2018. The list is followed by Syria, where 11 of the Journalist were killed. In Mexico,9 Journalist were killed and 8 Journalists were killed in Yemen. In India, 6 were journalist killed as well as in the United States. 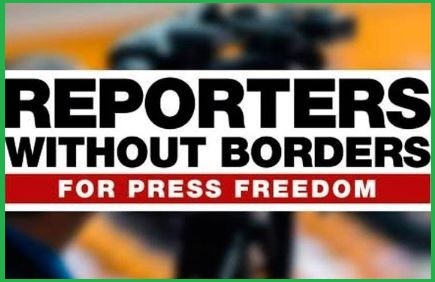 The figure increased by eight percent to 80, and by 15 percent, in the category of a number of professional journalists killed, from 55 in 2017 to 63 in 2018. The numbers had been declining for the previous 3 years. The number of journalists detained worldwide at the end of the year – 348 – is up from 326 at this time last year. This report is being compiled every year since 1995. Earlier in 2017, more than half of the world’s imprisoned journalists are being held in just five countries: China, Iran, Saudi Arabia, Egypt, and Turkey. China remains to be the world’s biggest jailer of journalists with the number as high as 60.